Are you visiting London and want to do something different while enjoying a nice day out? Then Kew Gardens is the place to go. 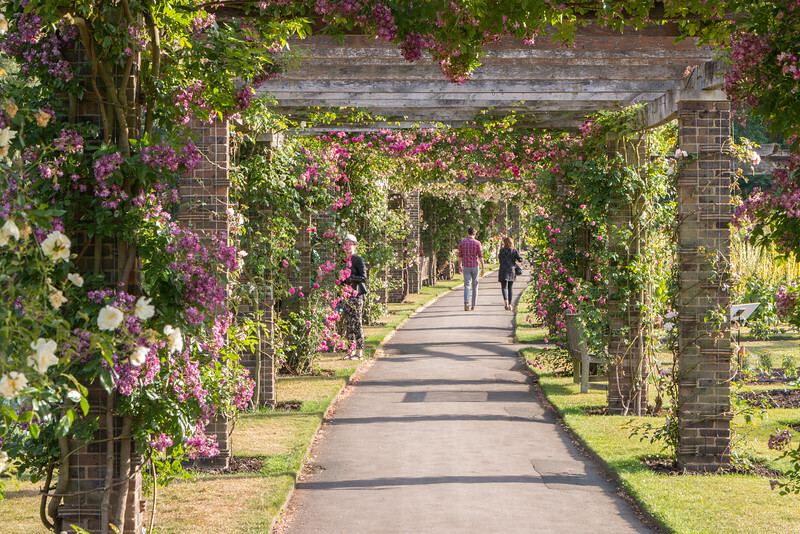 Officially known as the Royal Botanic Gardens and located in Kew (Southwest London), these botanical gardens founded in the 18th century are home to the world’s largest collection of living plants and use around 120 ha of space next to the Thames river. 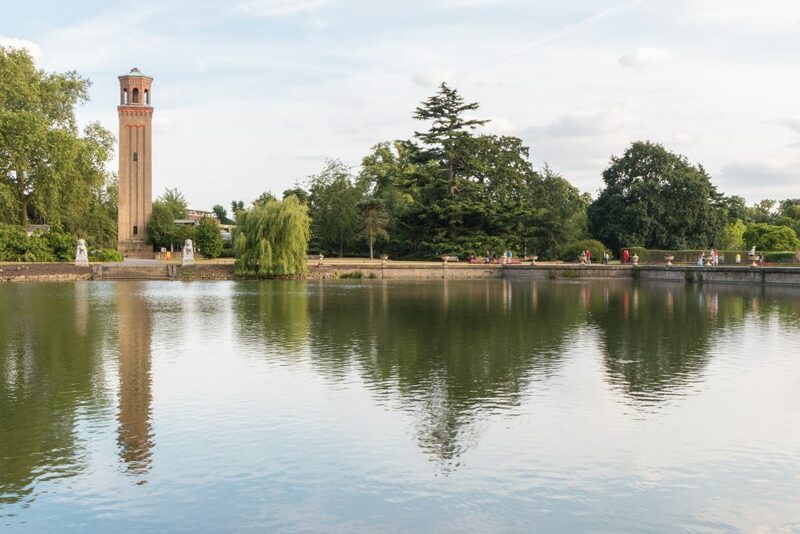 Kew Gardens is perfect for those that enjoy a nice stroll in nature, with plenty of paths to explore the diverse species, plus some historical and famous buildings. All of this within easy reach from central London, which is less than 15km away. It’s such an important place that it was named a UNESCO World Heritage Site. 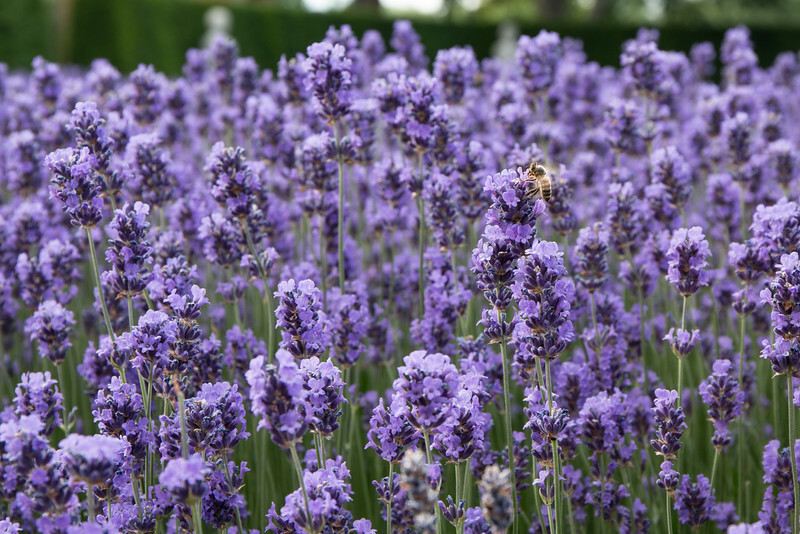 Let’s see some of the highlights of Kew Gardens! 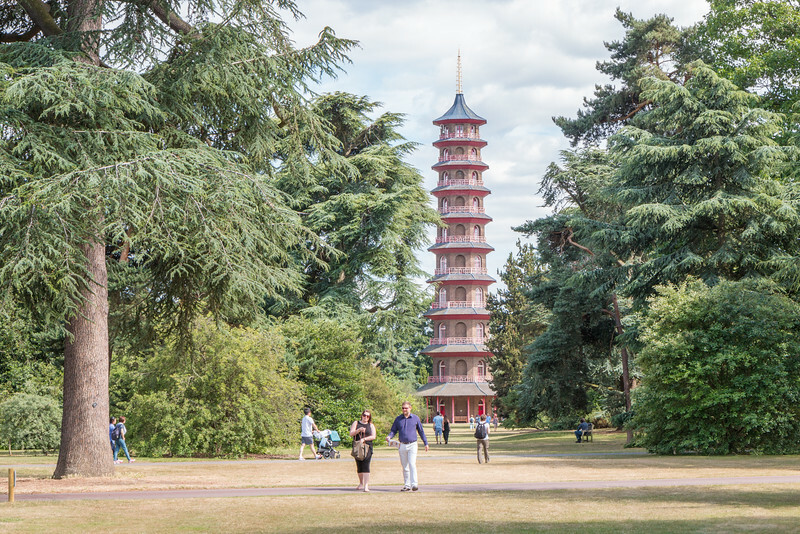 The 1762 Chinese Pagoda is probably Kew Gardens’ most iconic building or, at least, the most impressive one. It stands at almost 50 meters and, despite being quite old, still has a lot of color. All surrounded by magnificent trees. This was pretty much the first thing we saw in the gardens since we entered through the nearby Lion Gate. Close to the Pagoda is the traditional Japanese garden that includes, among other things, a replica of a Japanese Gateway. As a botanical garden, Kew has plenty of different thematic gardens with colors, shapes, and sizes for all tastes. Unfortunately, we are not botanical specialists and the only thing we can say about them is that they look really good and are lovely to explore. We’ll let the pictures speak for themselves. The 18m high and 200m long elevated walkway is a great (and shaky!) way to see Kew Gardens from a different perspective. 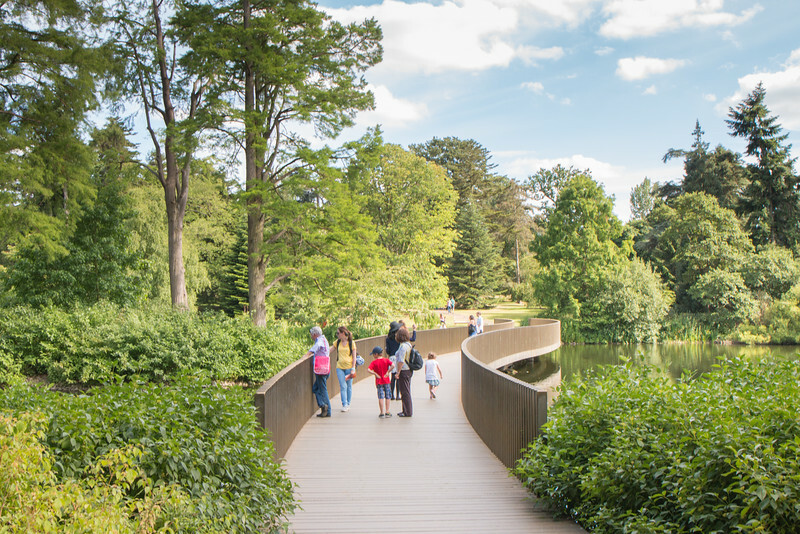 The circular path at tree canopy level offers beautiful views throughout and is a must-do at Kew Gardens. 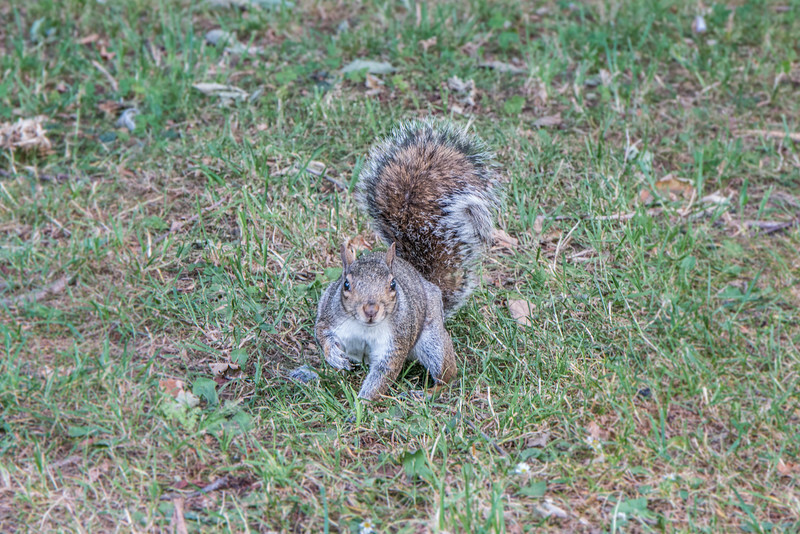 You’ll find some wildlife at Kew Gardens, including the ever so adorable squirrels, ducks and lots of birds. 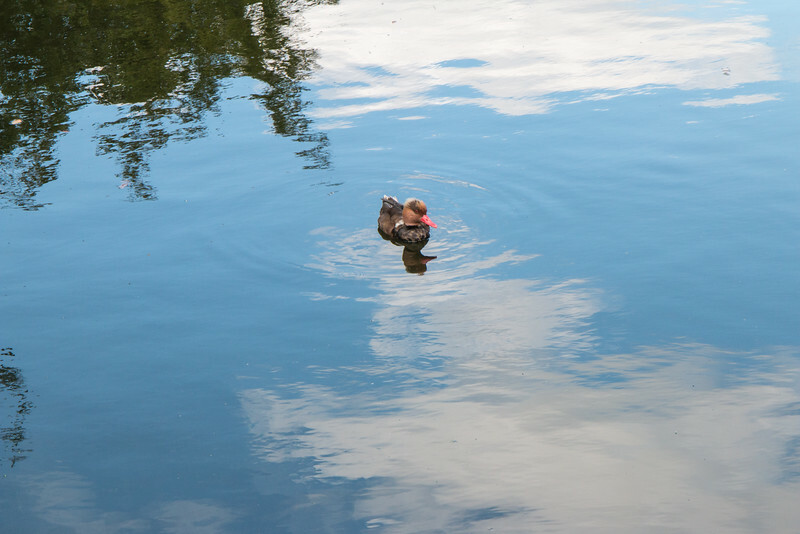 No garden is a proper garden without a lake. 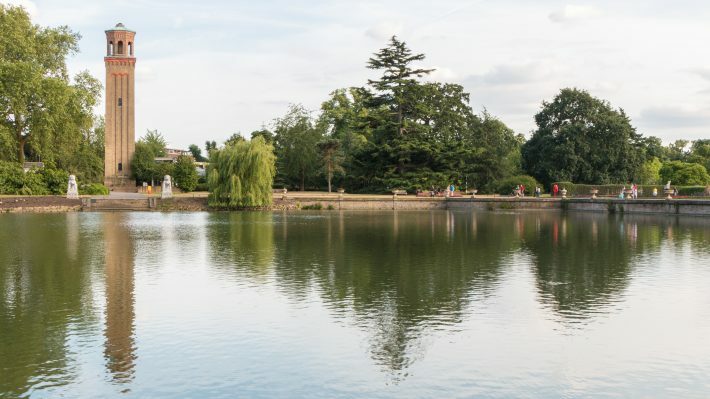 Kew Gardens’ main lake is a sizeable one and has a remarkable bridge known as the Sackler Crossing, which alone is a reason to visit the lake. 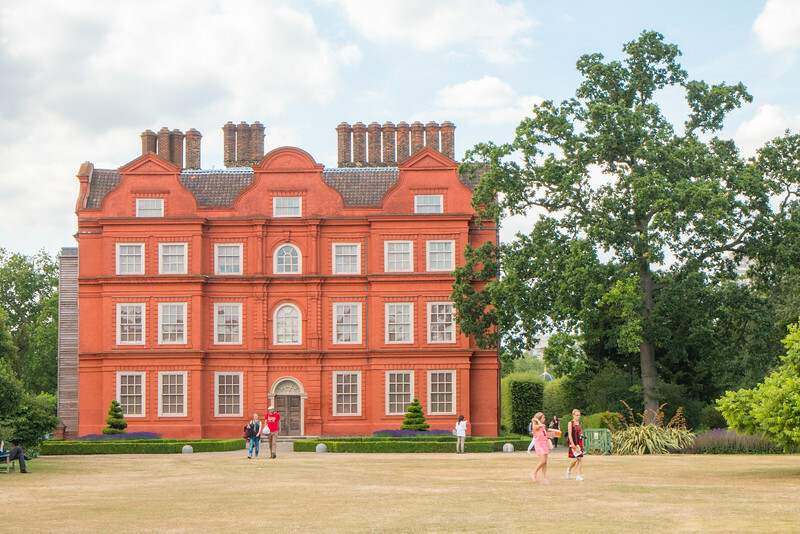 Kew Palace is a small and colorful palace that was built in 1631. Actually, it’s the smallest of the British royal palaces! The small gardens at the back deserve a quick detour. The nice looking brick building, across the pond from the Palm House, houses Kew Gardens’ Economic Botany Collection. Kew Gardens has a number of plant houses, some of which are quite famous. 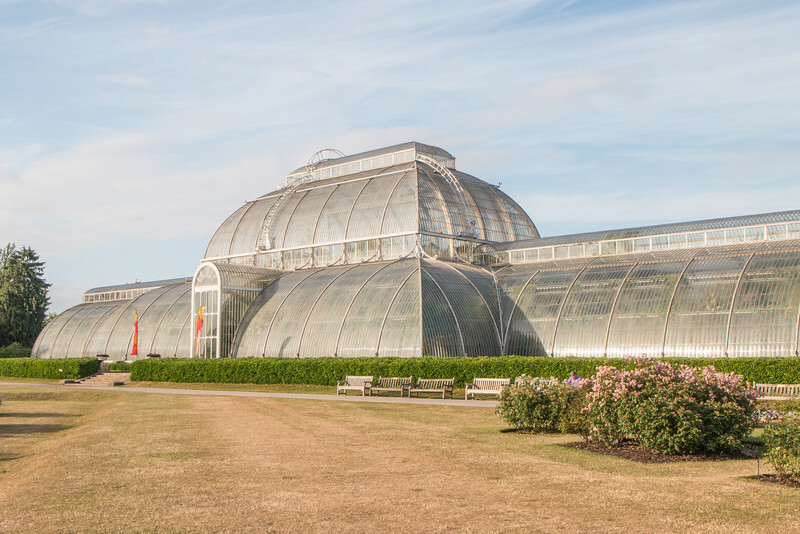 The Palm House (pictured above) and the Temperate House are certainly a highlight of Kew Gardens, along with the more recent Princess of Wales Conservatory and the Alpine House. There’s also a Bonsai House for the miniature tree aficionados. It’s always a good idea to visit Kew Gardens and every season has its own colors and events. We visited in the early summer when the weather tends to be nicer and warmer. Visiting in spring and fall must be a completely different experience. An excellent place for photography! 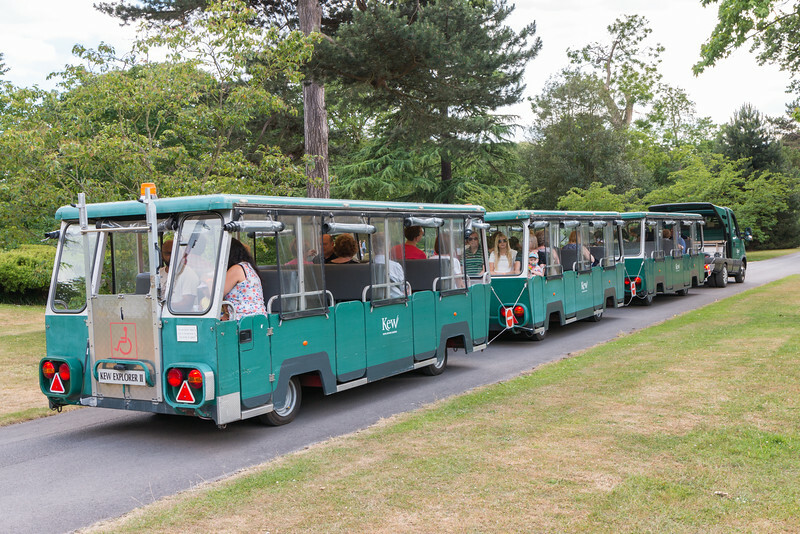 Kew Gardens has excellent public transport connections from central London, including the underground, overground, national rail, buses, and the summer-only river boat. There are four entrance gates to choose from and the closest one depends on the transport you prefer. The closest option is Kew Gardens station, served by both the underground District Line (green) and the overground (orange), which is only a 5-minute walk away from Victoria Gate. National rail trains stop at Kew Bridge and Richmond stations. Entrance to Kew Gardens is paid and prices vary, slightly cheaper if booked online. Despite this, we recommend the trip to the botanical gardens. 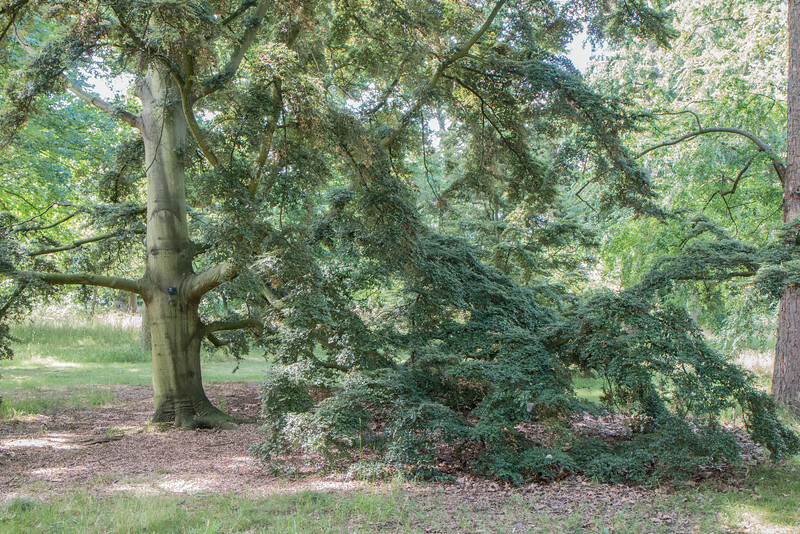 For more information, refer to Kew Garden’s website. 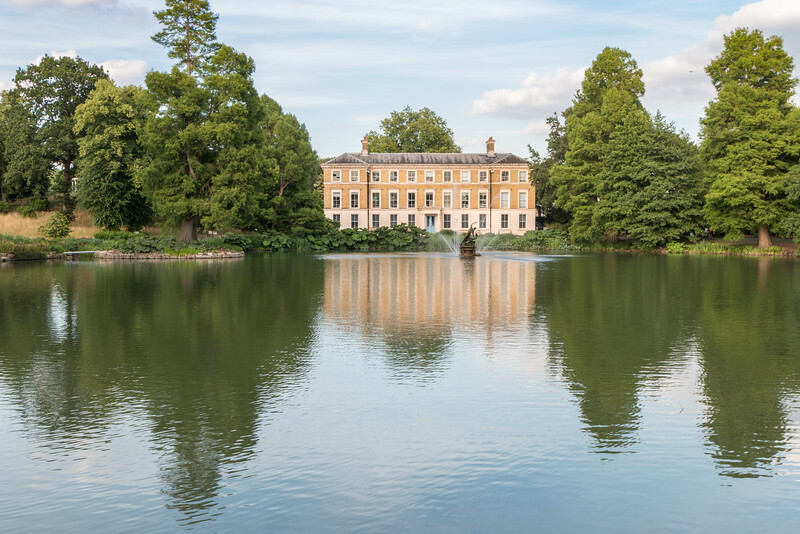 We thoroughly enjoyed visiting Kew Gardens on a nice and sunny day and think that adding it to your London itinerary is definitely a good idea! Rest assured there’s tons more to see besides our highlights and you won’t be disappointed. 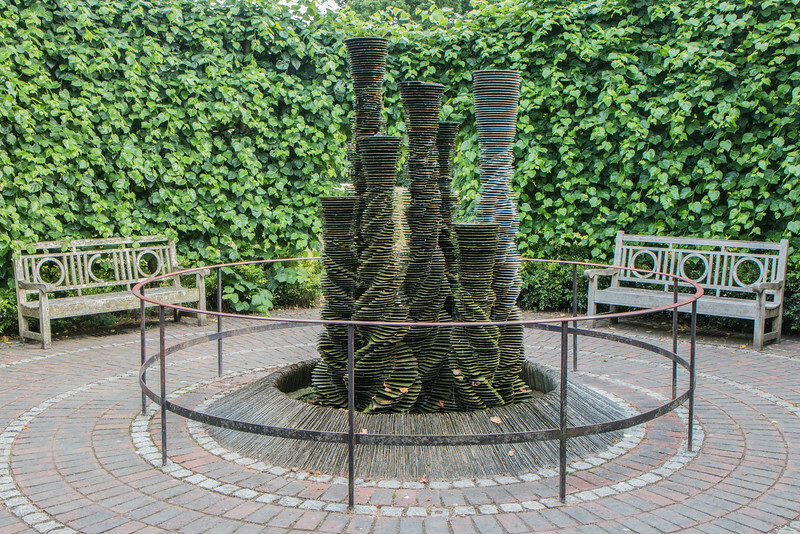 Have you been to Kew Gardens? Would you visit on a trip to London? I am a big fan of parks and gardens, I would definitely visit this. Perfect timing as I am heading to London next year. It’s quite a large gardens a Kew in London! Nice to have a museum and palm house reminds me of the indoor gardens at home. I love that England has so meany beautiful botanical garden it’s hard to pick just one but Kew looks amazing! Kew Gardens is rich in colours and everything seems to be instagrammable! Sold. I am definitely visiting when I am back in London. I love the looks of that treetop walkway- how fun!! We love Kew! it’s pretty easy to get to on the overground train. I had season passes when the kids were younger because it was such a nice easy outing for us. You should mention their Christmas lights show is pretty cool. I’ve been to London three times but I’ve never been here before. If I make it back a fourth time, I’m adding it to my list. 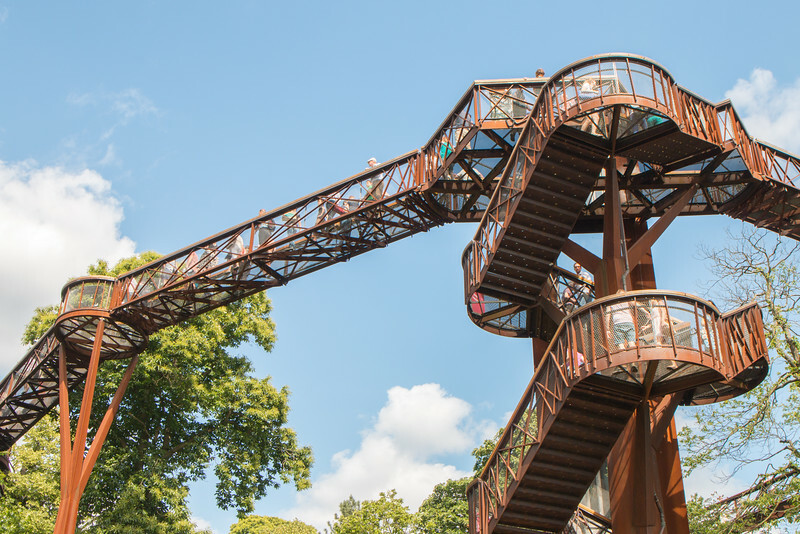 My son would absolutely love the treetop walkway, looks like a place that both kids and adults can enjoy. Always a win in my book. I love Kew Gardens as a local. Totally awesome place to chill out. This post is made for me. I always to do the same things in London and it’s time to switch it up. I didn’t even know there was a palace at Kew Gardens. Thanks. I went to London several years ago but didn’t have enough time to visit Kew Gardens. It looks like I missed out! What a lovely place for a stroll and escape the stress of the city. Great post! I’ve been wanting to go for some time and was thinking of heading to Kew when the colours change – didn’t know they had a pagoda!